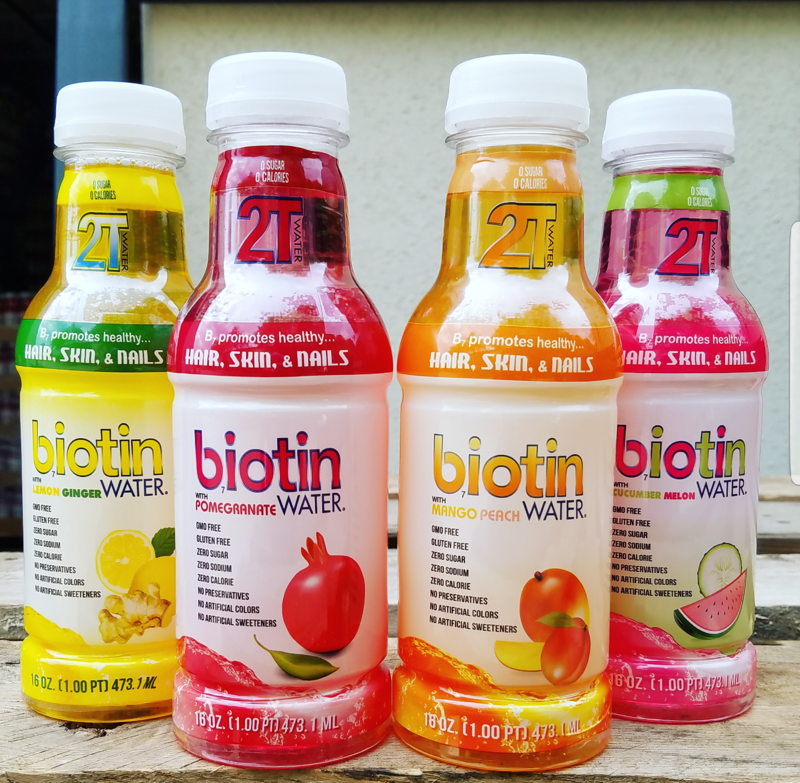 Today the creators of the first Biotin Water® introduced a new flavor to its Biotin Water® line-up. Cucumber Melon will join the functional flavored water infused with biotin this month. 2T Water currently has 3 flavors Pomegranate, Mango Peach, and Lemon Ginger. 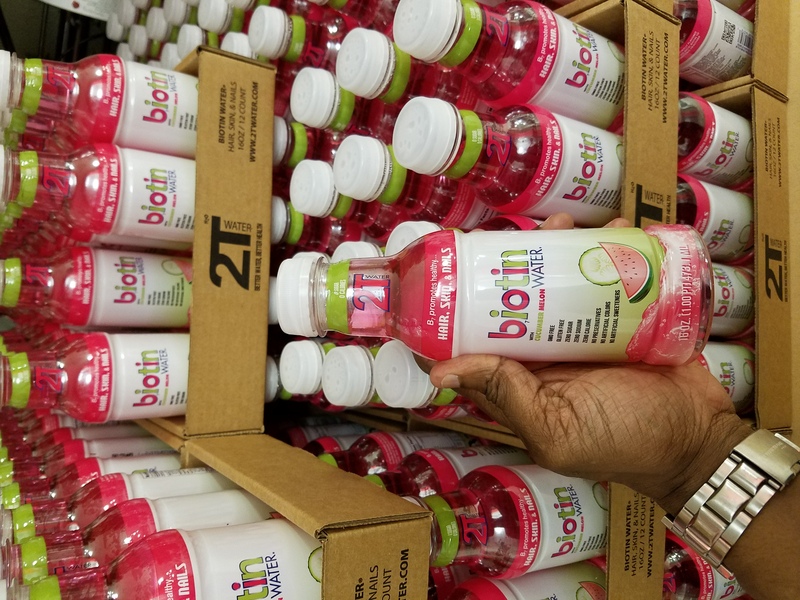 By adding a fourth flavor the company hopes to establish more depth in its portfolio of shelf presence while offering an additional flavor for consumers to enjoy the benefits of Biotin Water®. 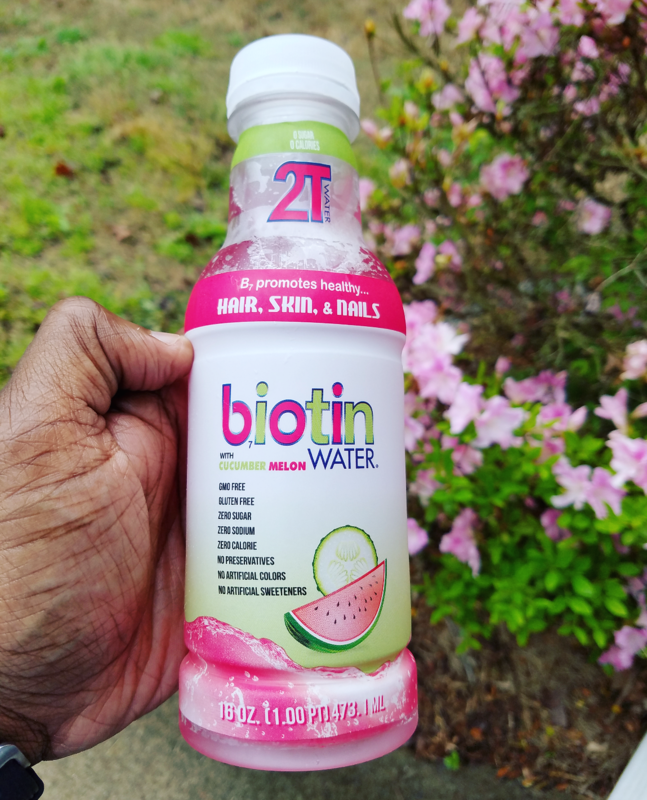 2T Biotin Water is the first naturally flavored water beverage infused with 300 mcg of biotin to deliver b7 benefits while promoting healthier hair, skin, and nails. Cucumber Melon Biotin Water will become available this month in several retail stores and online. 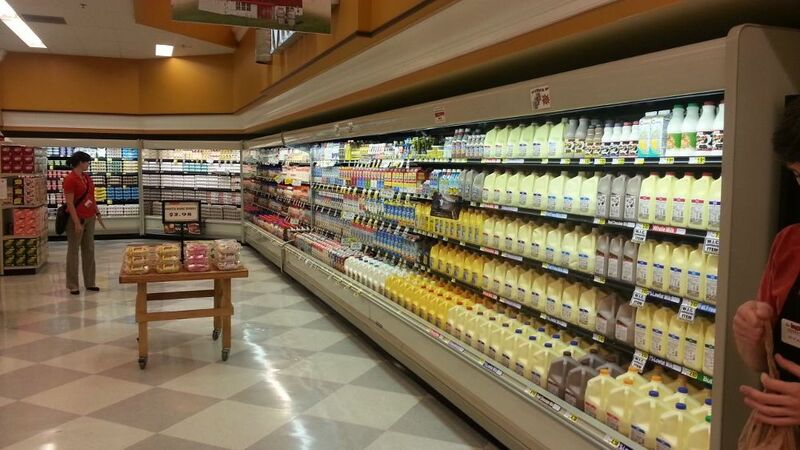 The company recently announced its partnership with Ingles Supermarkets in six states beginning later this month. The brand is also in negotiation with multiple travel channel locations (airports and ride sharing partners). “We have always used traditional and non-traditional ways to grow our brand. One of our core advantages is that we are a nimble company that truly offers a better beverage option. You will begin to see us increase our market share rapidly this year, said Eric Wells, Founder and CEO. 2T Water will continue to build the brand through sampling events and adding additional retail outlets. The company continues to see an 87 percent repurchase rate when consumers have more options to try the product. The brand has seen a 223% growth in sales over the previous year. Eric also mentioned that he has a short-term goal of becoming the fastest growing functional beverage brand in the southeast this year. 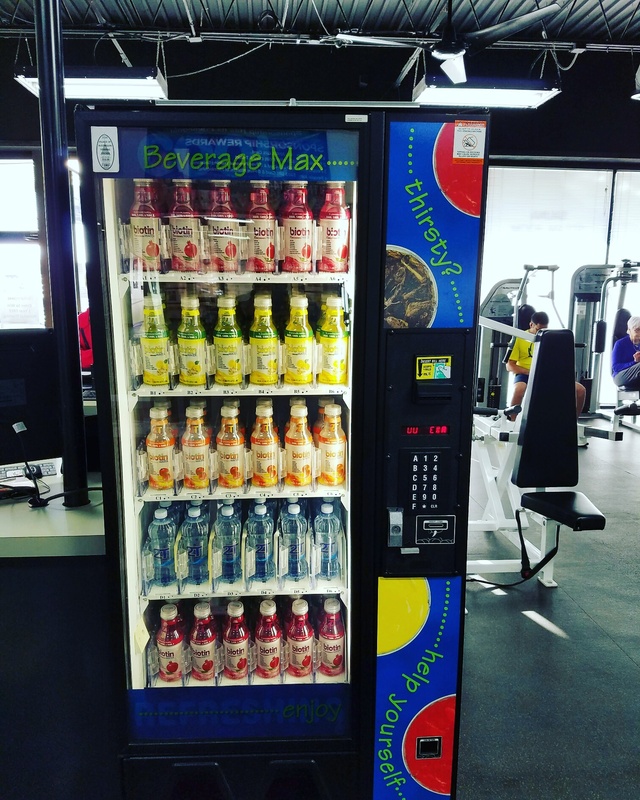 Although, 2T Water has already placed themselves across multiple channels like natural foods, fitness centers, colleges and universities, vending, grocery, and convenience stores, its definitely in a position to reach that goal and so much more. 2T Water is a new age beverage company committed to introducing premium beverages that are made with the finest quality of water. It’s a health conscious company that focuses mainly on health beverages. For more information on Biotin Water® please visit us at www.2TWater.com or follow @2TWater on Instagram, Facebook, and Twitter. 2T Water continues to make strategic moves in the southeast without showing signs of slowing down. 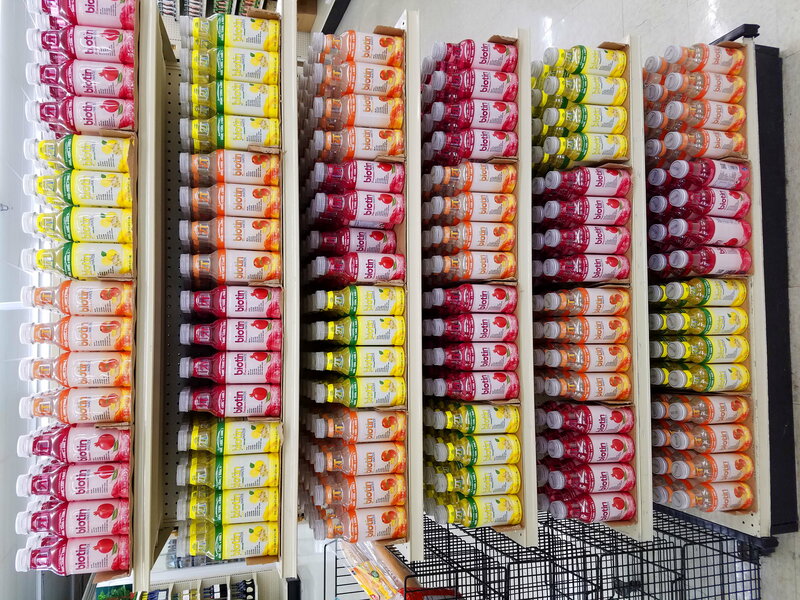 The brand announced today that it will partner with Ingles Supermarkets™ to bring its Biotin Water® beverage to more residents. 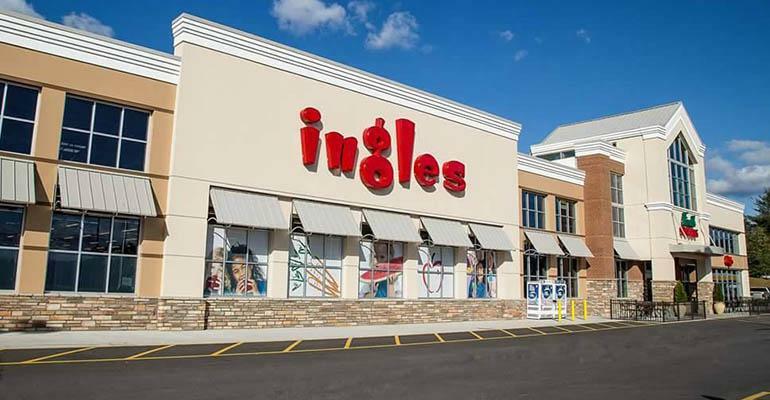 Ingles Supermarkets™ currently has 208 locations throughout the southeast that will carry 2T Water products beginning Spring 2019. Founded in 2013, the brand prides itself on creating its own distribution network with key retailers and chain stores. To date, 2T Water has brokered its own placements in over 600 plus stores throughout the southeast, southwest, and midwest since it launched starting with a natural spring water in 2014. This partnership with Ingles Supermarkets™ will add to the brand’s footprint in some of its key markets (GA, TN, SC, NC, AL, VA). The brand will also debut its new flavor Cucumber-Melon with the Ingles rollout. 2T Biotin Water® delivers a full dose of biotin (300mcg) per bottle with all natural ingredients – without sugar and calories. “We see this partnership with Ingles Supermarket as a “big deal” for our brand. Ingles has done a great job providing quality products at value prices while keeping that local “hometown” feel. We are excited to increase access to the brand by increasing the number of outlets that carry our products. 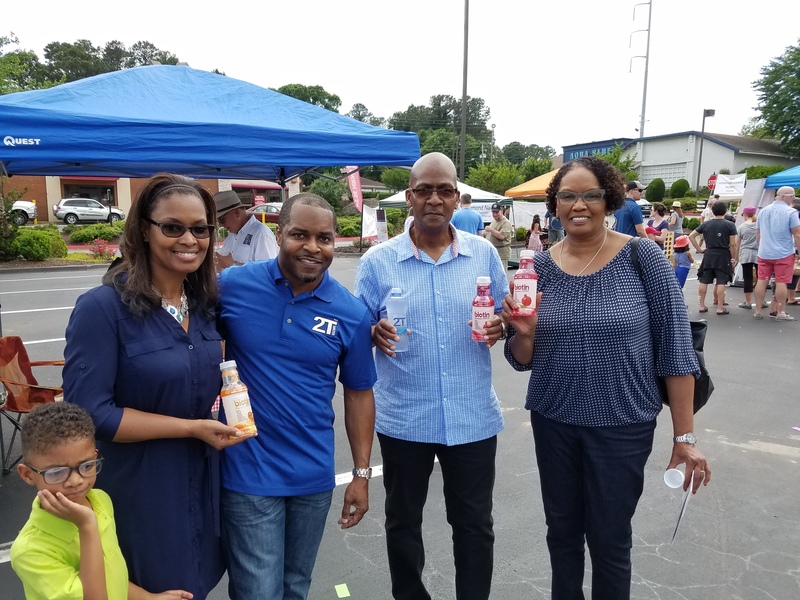 Since we are Georgia natives, we are particularly excited that the Georgia network of Ingles stores will provide an introduction to the brand for many new customers” said CEO, Eric Wells, 2T Water. Late last year the brand re-positioned its focus on becoming the premier brand in the southeast region by 2020. 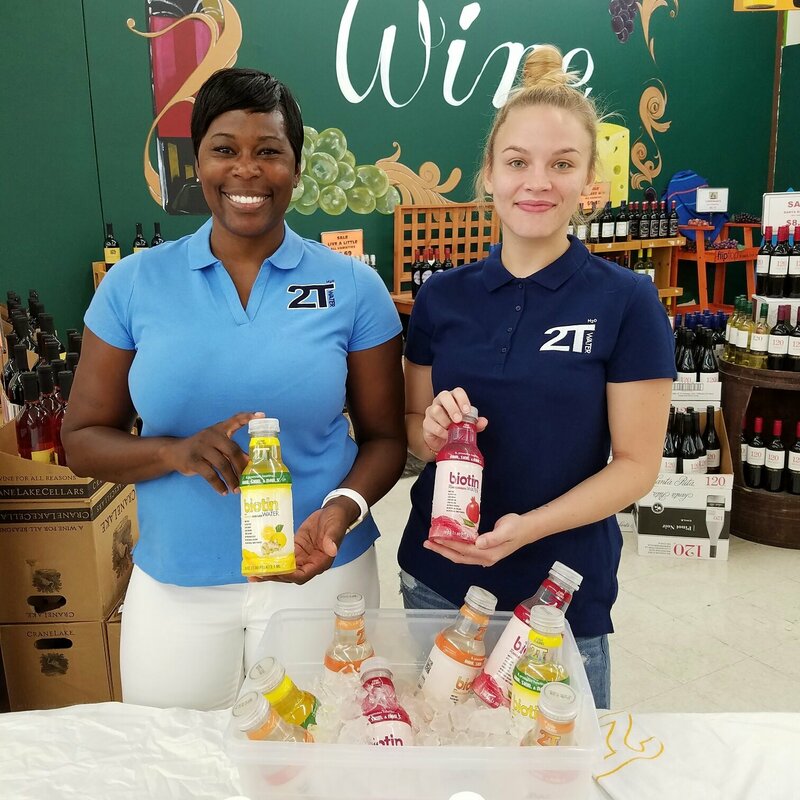 2T Water has used its resources to develop more distribution channels, sampling events, regional partnerships, and target marketing. “I want us to own our back-yard in the premium water category. We have created some of the best products in our segment space and now its time for us to get it to more customers,” continued Eric. The company is also planning an awareness campaign titled #2TPioneers slated to kick off in May 2019. The campaign will feature talented individuals who are pioneering their field of expertise. 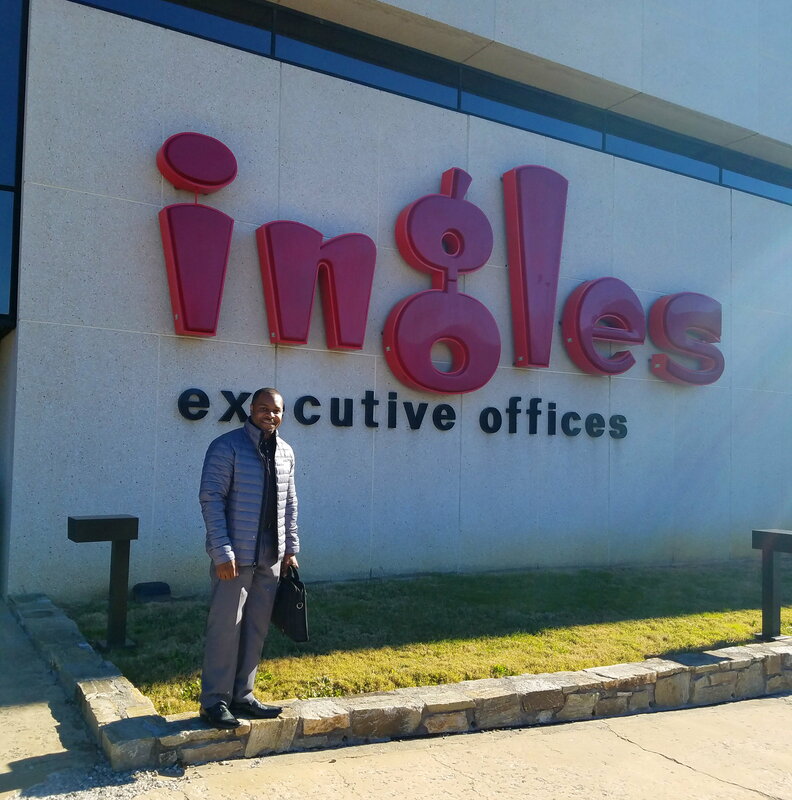 Visits are being planned to many of the cities/states that have Ingles Supermarkets™ locations. You can search your state for one of the 208 Ingles Supermarkets here . 2T Water is excited to announce that it has signed a 3 year production deal with Dra Bello co-packing as it gears up for the new year. As the brand continues to gain momentum in the southeast and southwest, it has secured manufacturing for its signature product 2T Biotin Water® Hair, Skin, and Nails. Dra Bello has agreed to produce over 2 million bottles of the proprietary formula during the agreed upon period (2019 – 2021). They will also introduce additional flavors while enhancing packaging specifications for the product. 2T Water has continued to experience growth by offering its products to many independent and franchised retailers. By securing this long-term production deal, the brand will be able to decrease its production costs while increasing volume efficiencies. The brand will continue to operate heavily in Georgia and Texas where it has identified tremendous opportunity for expansion. The brand also has a line-up of extended flavors that will launch over the next few months. “It feels great to have a co-packer that understands our mission and is dedicated to helping us grow our target markets over the next few years. Dra Bello has one of the best teams I have seen in the industry. It was super important for me to find someone that cared about quality just as much as they do in your brand’s success. I’m looking forward to a long lasting partnership.” said Eric Wells, CEO of 2T Water. The brand is introducing several marketing initiatives for 2019. “There is a strong sense of health & fitness in the atmosphere and we want to help lead the charge in promoting healthy lifestyles. Next year we will begin to partner more with like minded businesses/trainers to make a bigger impact on people’s lives. We have also joined several new community initiatives that will allow more people to be exposed to our products and create engagement with the brand”, Eric said. 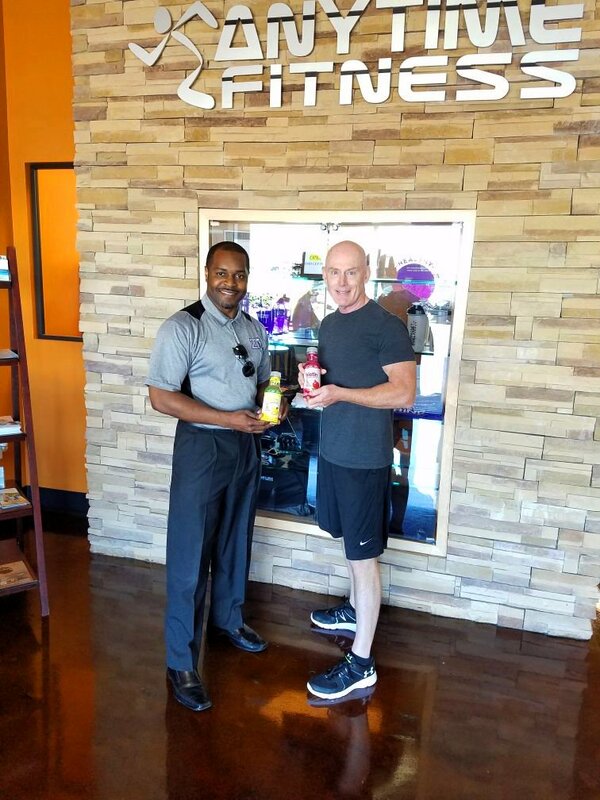 2T Water currently has distribution in numerous fitness centers and sponsors free gym memberships at each location to show its commitment to changing lives. The brand will also launch “The 2T Water Challenge” early next year. 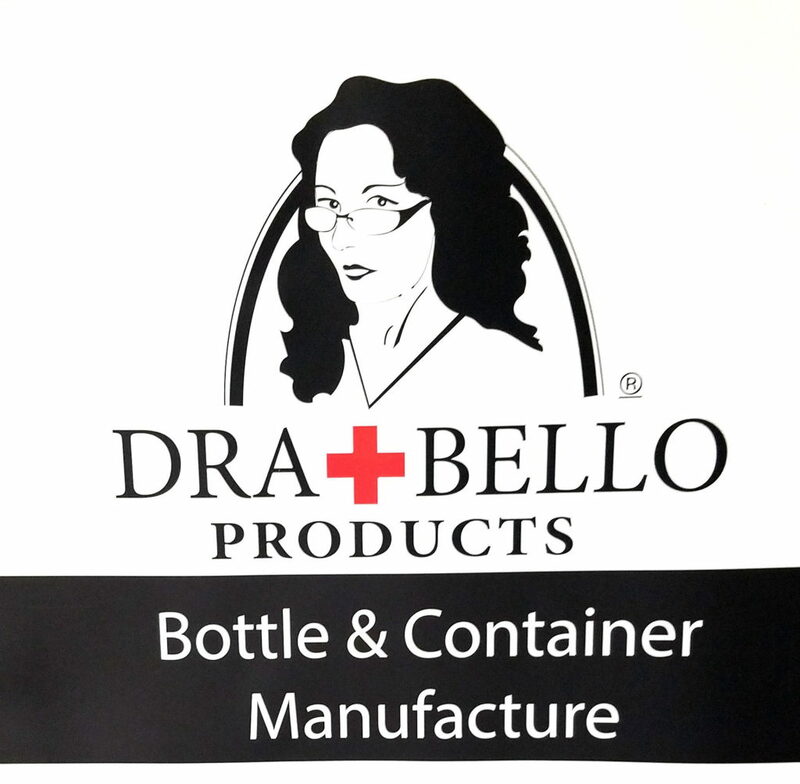 DraBello is a private label provider (contract packaging) and contract label manufacturer. Read more about their family owned company at www.drabello.com. 2T Water is a new age beverage company committed to introducing premium beverages that are made with the finest quality of water. It’s a health conscious company that focuses mainly on health beverages. For more information on Biotin Water®, please visit us at www.2TWater.com or follow @2TWater on Instagram, Facebook, and Twitter. As smaller brands struggle to secure a place in the “water world”, 2T Water has carved out its path in a field full of competitors. The southeast continues to be introduced to this new brand that’s all about delivering "Better Water, Better Health”. 2T Water has remained consistent over the last few years while focusing on building a brand from the ground up employing a strong grassroots approach. The food and beverage industry is one of the toughest businesses to be in due to extreme levels of controlled distribution and lofty fees associated with product entry. However, 2T Water is proving that it is possible to create a space for your business in the industry without overspending or outpacing its growth. The brand has built retail partnerships across many channels including grocery, natural foods, fitness, vending, and convenient stores. Much of this has been accomplished through face-to-face interactions and simple hand-shakes. The brand has several new distribution outlets coming in 2019. It’s in negotiations with several of its current partners including RaceTrac on expansion into other areas of their footprint. It has out-performed many other waters within the category and it’s currently the top-selling brand in Amy’s Natural Foods enhanced water segment. “We have organically built our brand with our own team and with limited mass marketing. I’m expecting big results when we finally expand our distribution and increase our marketing efforts later this year” shared Eric Wells, CEO - 2T Water. Currently, the bulk of the brand’s sales is coming from southeast and midwest retailers across all channels with convenient and grocery stores leading the way. It is important to note that the brand has experienced a 63% increase in its fitness center partnerships. Approximately 23% of company sales are done online through its direct shipping option. The company continues to do a great job maximizing product placement in many different channels which showcases its ability to scale in a number of ways. Eric also shared that the brand is planning to have its 2nd private investment round in November 2018 for the upcoming new year. As the flowers begin to bloom and the sun starts to shine, 2T Water prepares for its biggest spring and summer seasons. The beverage brand has continued to increase its presence in the southeast while gaining more and more traction. Its latest vendor authorization with the AnyTime Fitness chain will give the company more opportunities to increase the brand’s footprint with 2T Water H2O® and 2T Biotin Water®. The chain has currently over 3,000 locations worldwide. 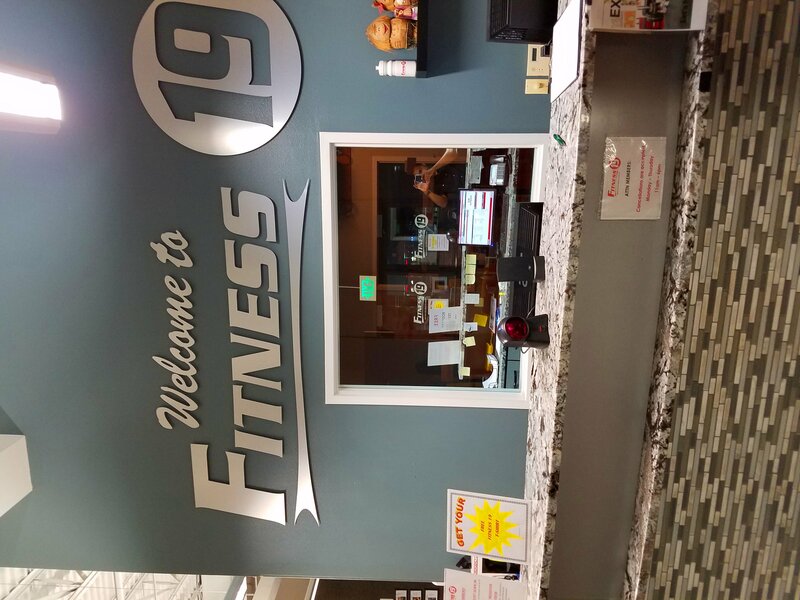 In addition, 2T Water is an approved vendor with other fitness centers like Fitness 19 and Fitness 1440. “We have shown the versatility of our product across multiple channels like convenience stores, nutritional outlets, natural grocery, colleges, fitness centers, spas, salons, restaurants, and vending. We continue to create more opportunities for ourselves which has strengthened the brand and company,” said Eric Wells. This year 2T Water is also growing its portfolio with new products and increasing its distribution in the conventional grocery category. This spring the company hopes to bolster its “Better Water, Better Health Campaign” in the Atlanta area through non-traditional marketing outlets. The campaign is geared to convince consumers to drink more water and less sugary sodas, juice, and energy drinks. 2T Water has partnered with several local business and marketing firms to help spread the message. “We have noticed that many people who are members of local gyms seem to have a very high sense of what’s healthy and what’s not. These consumers help validate our products and continue to support the brand through repeat purchases,” said Eric. To date the company has already out paced last years sales by 200% with the busiest months coming this spring, summer, and fall we’re expected to continue this process. 2T Water has continued to focus on steady growth while building each account based on relationships and support. It has maintained a core distribution network that allows the brand to compete against other larger companies and also gauge performance. “Many people would be shocked to learn how well we stack up against other brands in our current stores. As we grow it will become more evident that we have something special and unique,” continued Eric. The brand has now entered its 4th year in a very competitive beverage industry. Its products are on target with the “New Age Beverage” movement targeted at the health conscious customer. 2T Water, LLC is a new age beverage company committed to introducing premium beverages that are made with the finest quality of water. It is a health conscious company that focuses mainly on health beverages. Read more information on Biotin Water® here. VISIT OUR ONLINE STORE TODAY AND SAVE 15%. ENTER CODE DRINKWATER AT CHECKOUT. 2017 is off to a great start for the 2T Water brand. Based on an increasing demand from retailers and consumers 2T Biotin Water® has found a niche that screams “more.” It’s not too often that young brands see success so quickly in this space especially with little to no help from big industry names. 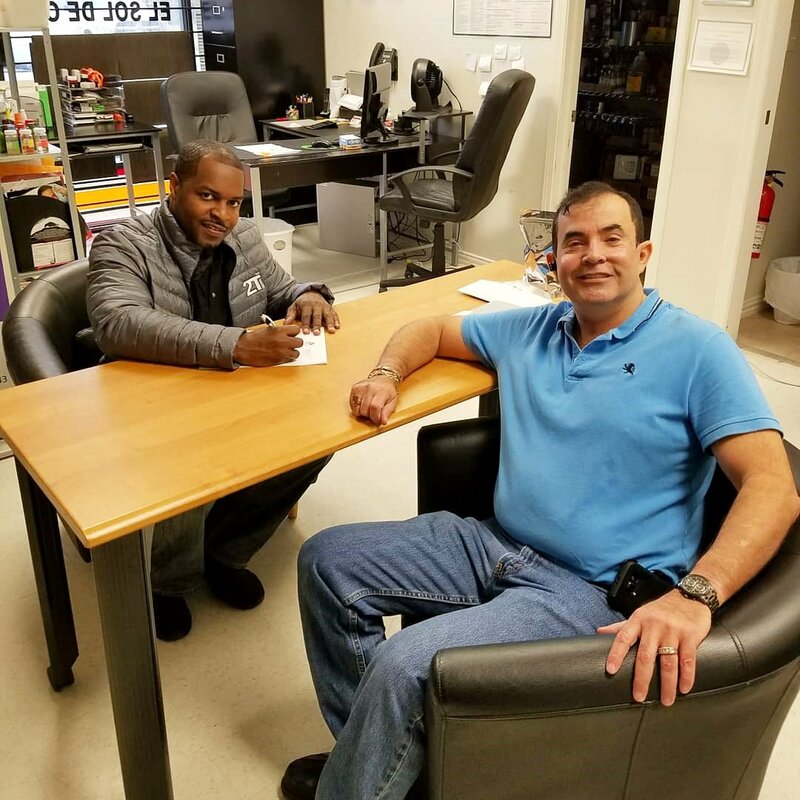 Just recently the Vice President of Operations, Rodney Wells started noticing a significant uptick in company sales in numerous areas. He also saw the same large increase in the company’s online sales during the same time period. 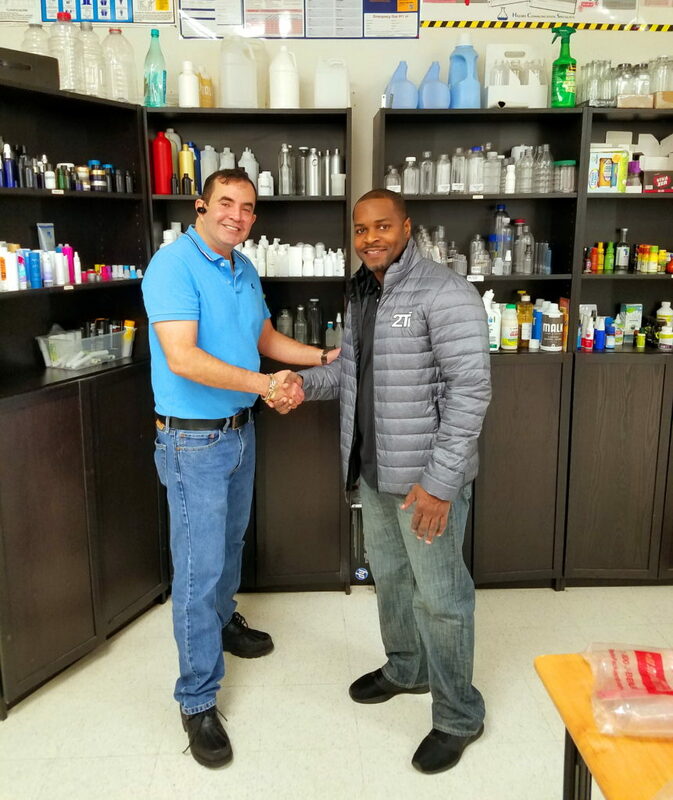 Rodney reached out to several of the company’s DSD relationships and asked them to stock more of the product in all flavors and they quickly replied with purchase orders. “In this business when you have momentum on your side you are able to make some demands. This year we will have a larger store presence at some of our key retailers to maximize sales. Customers are registering with our product and biotin is the key ingredient. Our brand is coming off of our best year (2016) and now into the best new year start in the company’s history. We are at the point where the brands Vitamin Water, Smart Water, and Bai were in their early stages. They all had to prove themselves and we are doing that while maintaining our full equity stake. 2T Biotin Water® is made with better ingredients while offering a 0 sugar and 0 calorie proposition. We believe in having good retail partners who want to grow with us. We have stayed consistent with our partners so they know that we are committed,” said Rodney. The company has used its unique direct business model to acquire accounts. As of 2017 the company wants to devote more resources to market more to colleges and universities. It seems that the 2T Water brand is the “next big thing” for the younger generation aiming to live a healthy lifestyle. The company hopes to leverage its relationship with The Follett Corporation to gain access to over 1,700 campuses throughout the United States. The company also has some big initiatives for 2017 to increase awareness of the brand. It will release a mini series that documents the company’s progression to success titled “The 2T Water Project” airing this year. It will also be partnering with numerous sport teams and fitness experts to lead a health conscious movement with better-for-you beverages. 2T Biotin Water At The Alive Expo 2016 In Atlanta! 2T Water showcased its revamped Biotin Water product at the 2016 Alive Expo in Atlanta last month. The Alive Expo is a one weekend, two day event that is packed with interactive demos, live health lectures and kid’s activities that the whole family can enjoy! Each year thousands of consumers attend the Alive Expo’s events to learn how to integrate natural products & green living into their daily lives and to create a positive impact on the world as a whole. Attendees get a chance to experience all the newest and best natural, organic, green, and eco products for their home and their entire family. 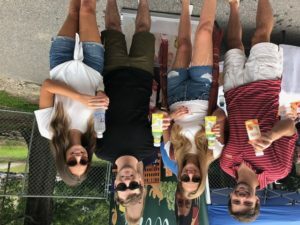 This year 2T Water joined companies like Suja, Honest Tea, and Energy 1 USA at the annual event. “The Alive Expo allowed us to connect with our core audience for two days. This show really attracts people who are in tune with the latest health conscious products on the market. 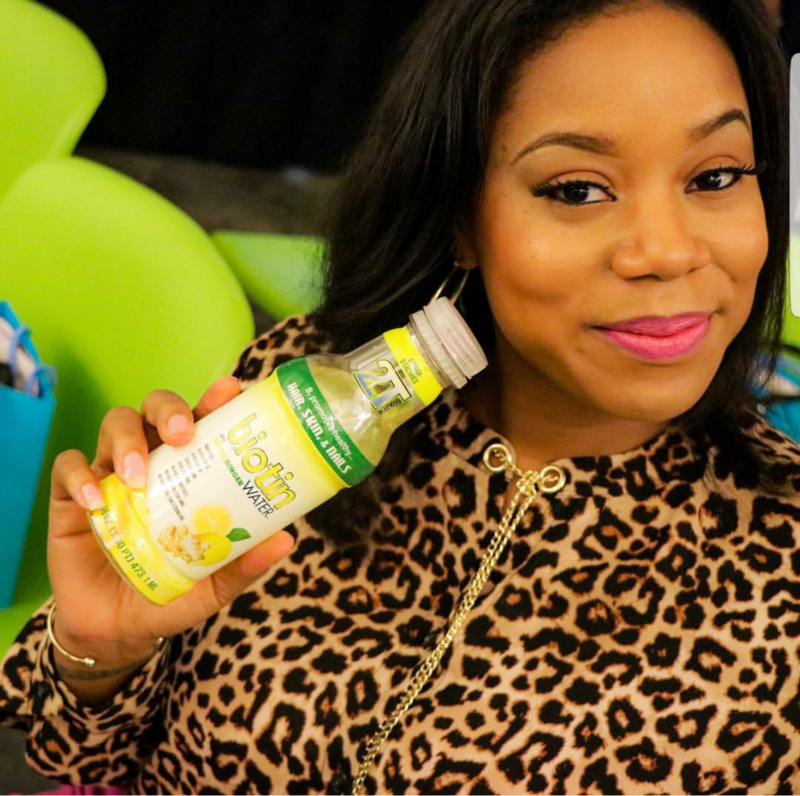 When consumers have the opportunity to sample our products as such at the expo, it typically leads to a purchase,” said Nakia Russell, Marketing Manager, 2T Water. The company gained several new customers from the expo event that attracts over 10,000 attendees every year. 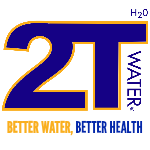 2T Water currently has several retail stores in the Atlanta area carrying its products. 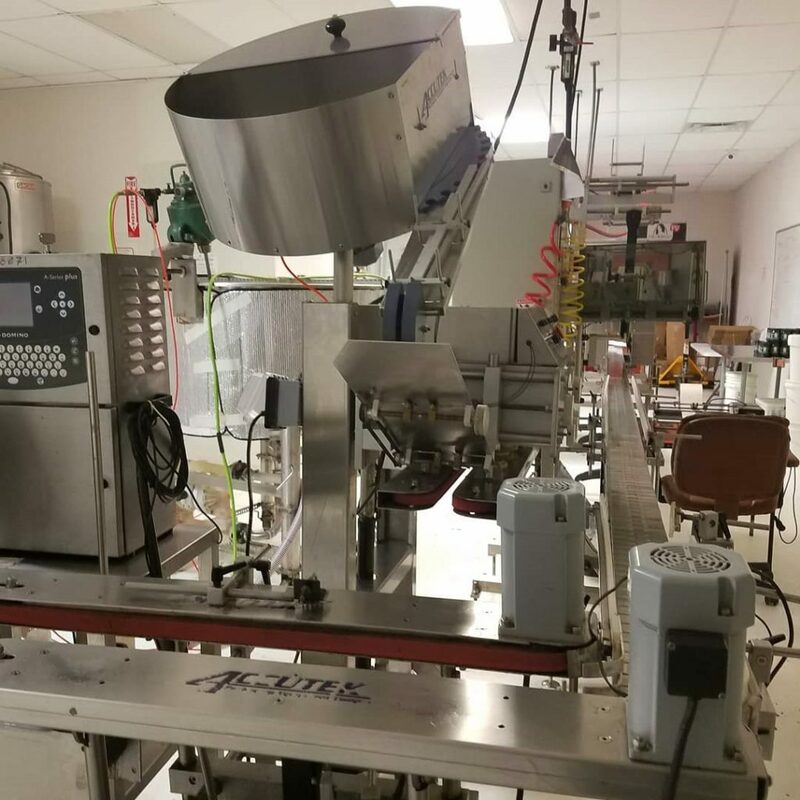 In just a short time, it has built solid relationships with key business owners to expand its distribution footprint in the Southeast. The company is projecting to fully saturate surrounding areas of Atlanta metro by the end of Summer 2016 with over 300 outlets carrying 2T Biotin Water. See current locations here http://2twater.com/store-locator/. 2T Water, LLC is a new age beverage company committed to introducing premium beverages that are made with the finest quality of water. It is a health conscious company that focuses mainly on health beverages. For more information and to purchase products visit www.2TWater.com. Revamped and ready for consumption, 2T Water has hit the ground running in 2016! A new look and slightly modified flavor profile has elevated the brand to new heights. Biotin Water® is now boldly positioned on front of the bottle with the slogan B7 promotes healthy hair, skin, and nails. The bottle also has a transparent label adding a more appealing appearance of the liquid content. “We listened to our customers during our first year proving our concept. 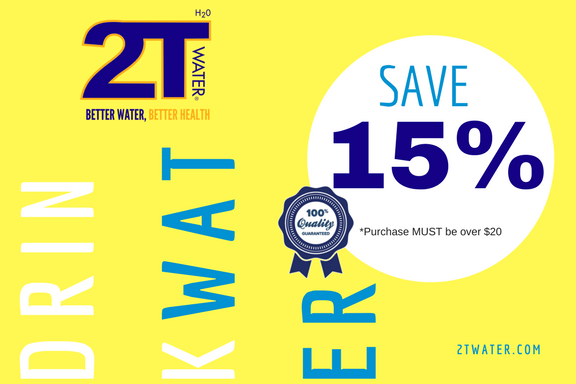 We made sure to incorporate their recommendations in our revamp process to show our appreciation for the support of our brand,” said Eric Wells, CEO, 2T Water. The company continues to grow and thrive in a competitive market; recently bringing on fitness center accounts and natural grocery distributors. 2T Water is carving its niche in the flavored water category. The company began shipping the new revamped product with an additional SKU Lemon-Ginger in March. Distributors will be pleased with the changes just in time for Spring. The company has continued the strategy of building the brand slowly to gain a good foothold in its current regions. By partnering with independent retailers, distributors, and businesses it has been able to create its own distribution network out of thin air without the high expenses that come with the national footprint. “I have study every young brand in this industry and many of them try to go national before they even control their own region, which for many of them creates cash flow problems. You have to allow time for your brand to mature in the market. 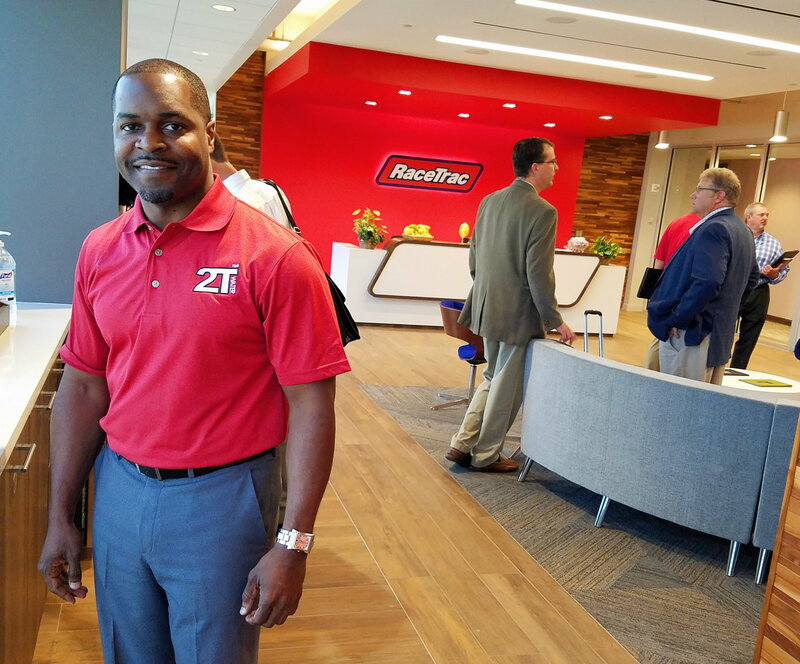 My previous corporate experience taught me that slow and steady growth produces consistent results, said Eric.” The CEO uses his management background to make strategic decisions for the young company. The company’s Biotin Water® product continues to be in strong demand among consumers and retailers. “We know many people have never heard of our products, but when we come in contact with new customers or retailers and tell them we have the first Biotin Water® they are very interested, continued Eric.” As for the consumers who run across the brand, they are definitely responding by pulling the product off the shelf. The company recently reported a 325% sales increase mainly due to the addition of 2T Biotin Water®. It’s no secret that power house beverage companies like Coke and Pepsi are losing market share with carbonated soft drinks (CSD). CSD’s have been their staple products for years. Most new age companies like 2T Water are in hopes to fill that void some day with “better for you products” and spark some interest from the big guys. Several headlines show smaller companies that position themselves well get recognized by larger players in all industries. The brand has cleverly taking advantage of the market and provided a fully functional product that is good and offers health benefits. It’s very safe to say that today people are very health conscious and looking to change their eating and drinking habits to live a longer healthier life. Water most definitely fits into this “fitness frenzy” environment. Could we be watching the next powerhouse brand build its empire right before our eyes? It remains to be seen. For more information, visit www.2TWater.com.